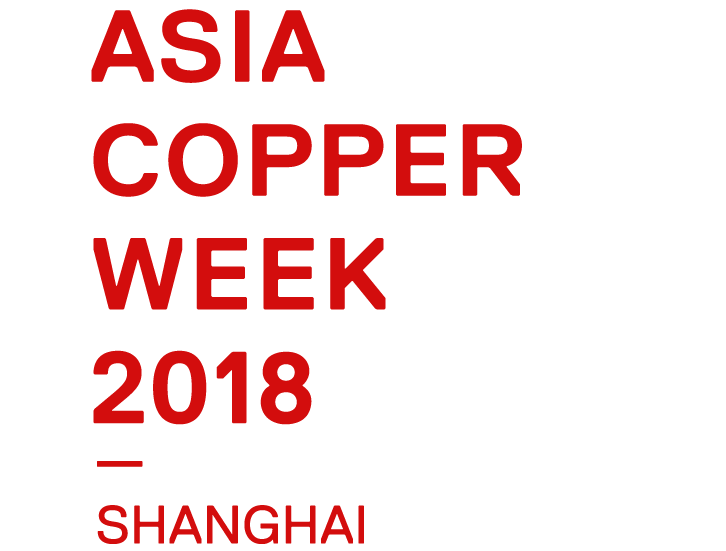 IN NOVEMBER 2018 TOOK PLACE IN SHANGHAI THE 7TH ASIA COPPER WEEK, WHICH GATHERS GLOBAL COPPER INDUSTRY LEADERS AND IS ORGANIZED BY THE CENTER FOR COPPER AND MINING STUDIES, CESCO. THIS YEAR THE EVENT CONGREGATED MORE THAN 1,800 ATTENDEES FROM ALL AROUND THE WORLD ON THE DINNER, CONFERENCE AND MULTIPLE BILATERAL MEETINGS. China joined the World Trade Organization in 2001. In 2009, it was already the biggest world export power, and its ongoing growth consolidated it as a second largest world economy. For more than a decade, and until 2014, prices for commodities maintained unprecedented levels due to the growth of the Asian Giant. In 2015, China grew by 6.7%, its lowest level in the last 26 years, but it still overshadowed other large economies. Its contribution to the global economic growth was 33.2%. Also, in 2016, it increased direct foreign non-financial investment by 44.1%, reaching USD$170,110M. Chinese companies invested in almost 8000 foreign companies from 164 countries and regions. China is the biggest business partner for more than 120 economies. As such, since the middle of this decade, China started to boost another kind of globalization: an inclusive one, underpinning it with a new model of international cooperation by putting the emphasis on infrastructure, investment and development, not only on trade. From this point, the Silk Road strategy arises. Since its release, it counts on the support of more than 100 countries and international organizations, which is supplemented with several land and sea economic corridors. Understanding of the phenomena driving the main raw materials consumer of the world is key for the commodity market globally, and Asia Copper Week 2018 is a unique opportunity to understand such phenomena and strengthening bonds with the protagonists of the history. Please fill up this template and we will get back to you as soon as possible.